Join us as we welcome RNC Co-Chair Sharon Day to King County, Monday, May 4th to support our 2015 King County races. 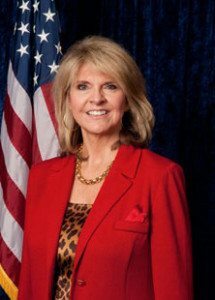 Sharon Day has served at the grassroots level of the Republican Party in Florida for more than 20 years. Sharon has been a member of the Broward County Republican Executive Committee since 1994 and State Committeewoman from Broward County since 1996. She has served as Florida’s National Committeewoman to the RNC since 2004, and continues to hold that position today.